Reesi has had a long history with the organization stretching back as far as our days in Icecrown Citadel in World of Warcraft. Her many long years have earned her the respect of many in the organization. 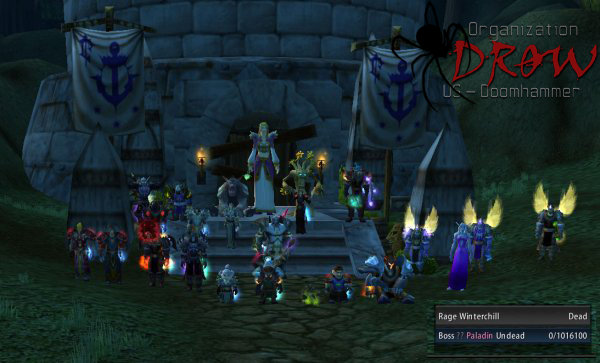 She currently leads our WoW team and its efforts to rebuild its Mythic raiding roster. 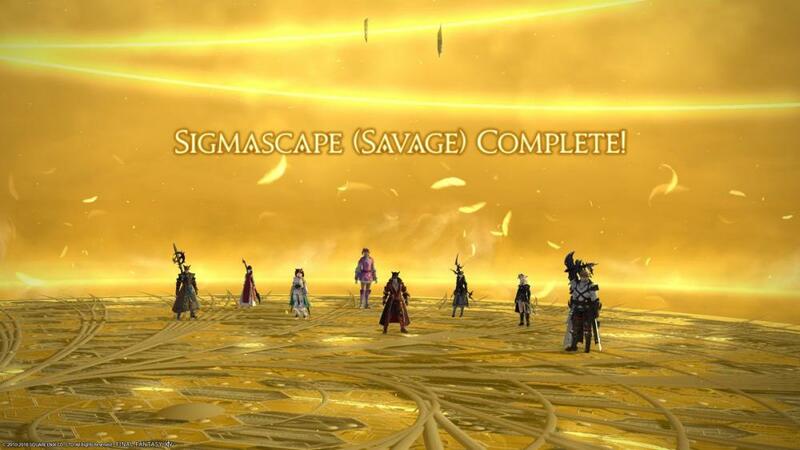 Congratulations to our FFXIV team for completing Sigmascape Savage this week with their kill of "Godka". I'm sure they are all looking forward to some much needed single night raid weeks until September. Good job team! You can find Nano's VOD of the kill below! 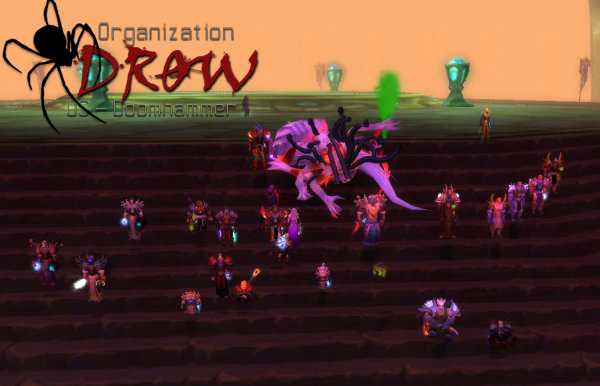 For those of you unaware, Drow as a gaming organization has been around since 1996. During that time, we've sponsored teams in a wide variety of games. People have come and gone, some of us have been here a very long time (11 years in September for myself, a few of our casual members longer than that). Some of us were around for the content I will be posting over the next year or so, some were still in elementary school. I think all of us can appreciate where we've come from, and look ahead to where we might be in another 20 years. So with that said, let's kick off the inaugural episode of 20 Years of Drow: A History in Screenshots! All of the following screenshots are 10 years old as of this post, so from June and early July of 2007. In future episodes, I may not stick exactly to the 10 year mark as I have some older screenshots I haven't had a chance to watermark yet, but all screenshots posted will be at least 10 years old at time of posting. First we have the Vanguard team, starved for raid content, attacking a nearly invulnerable world mob and killing it. 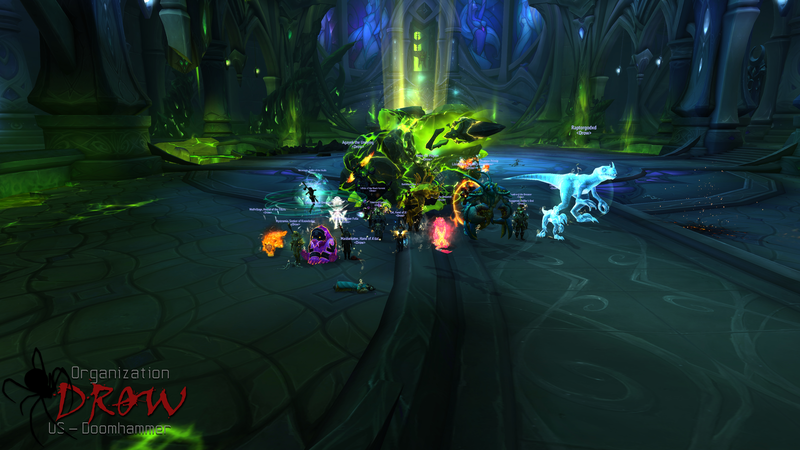 Then the WoW team, defeating Lady Vashj in Serpentshrine Cavern on the 2nd pull of the night. The WoW team, killing Kael'Thas in The Eye and unlocking the Hyjal zone. 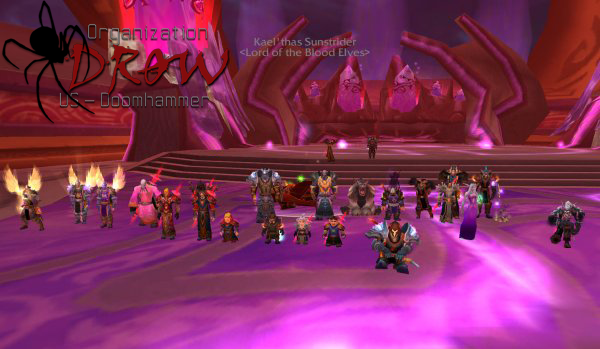 The WoW team, killing Rage Winterchill the very same night as they killed Kael'Thas and unlocked the zone! That's it for our first episode, check back soon (later this month) for Episode 2!